Here is my page that I use to show family and friends pics that I have taken. You can also find links to sites that I like to visit. As you can see my biggest hobby or sport is rock climbing. I started climbing in November of 2002 and fell in love with the sport after the first time. I have climbed mostly in Oregon, but have made one trip to Yosemite to give big wall a try. I loved it there and will be going back. 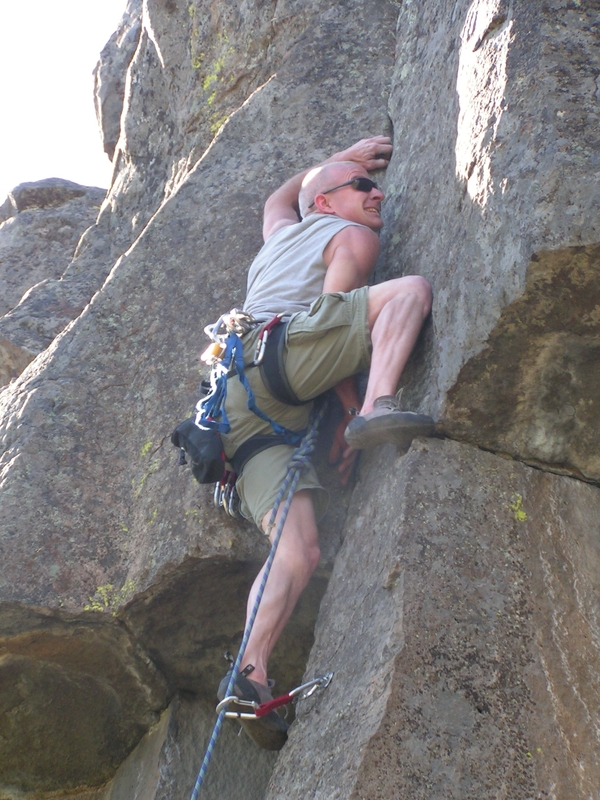 I do all types of climbing, from top rope, sport, trad and a little aid. I have also climbed in Bulgaria in the city of Plovdiv. Getting some air time on my project at the Williamson!